U-S-A! U-S-A! It’s Independence Day over in the States on Tuesday, so GTA Online is celebrating in the only way it knows how: massive monster trucks, fireworks, and a fancy new car. Nothing says star-spangled banner like the cold hard cash of GTA Online. Here’s a collection of the best classic PC games you should play. Much of the content is actually from last year’s Independence Day event, returning for those who didn’t manage to catch it, but there’s one completely new supercar for you to buy. 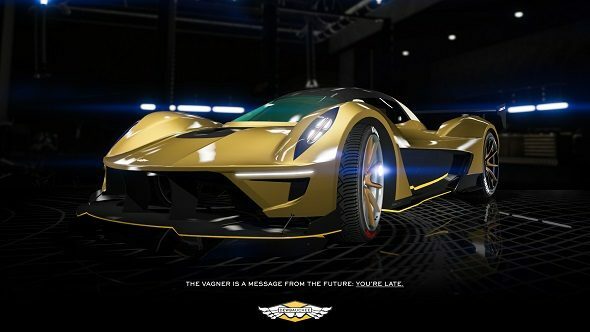 The Dewbauchee Vagner costs $1,535,000, and is one of the fastest cars in the game. Celebrate and wave the star-spangled banner at speed. There’s also a new Adversary Mode called Dawn Raid, where two teams of six have to find a transmitter and take it back to their evacuation zone, all taking place in darkness with night vision goggles. This mode gives double RP and currency until July 10th. Anything Independence Day-related, such as the monster truck and fireworks, are only around until July 10, so you’ve not got a huge amount of time, but they are 25% off from last year. For more details, check out the official post (or go play GTA Online).